One of the important translations from the card game to an RPG is to establish the basic abilities of the character. In traditional roleplaying games these are strength, intelligence, wisdom, etc. each with specific game values. 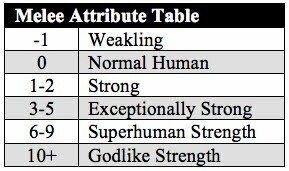 Dungeoneer RPG uses a very similar, simplified version of these by converting Melee, Magic, and Speed into basic attributes for the character. Melee represents physical strength, combat ability, and overall physical prowess of your Hero. It is a combination of brute muscle strength, combat ability and resistance to physical harm. Melee is used in Tests which represent entanglement, poisoning, grappling, or other feats of strength, constitution and fortitude. Melee is used in any kind of physical combat. Coming out ahead in a trade of sword blows, hitting a target with a thrown rock, or getting the timing right to deliver a swift kick to the tender parts of your enemy’s body all rely upon Melee. Many of the challenges you will face will be based on Melee. Paladins and Warriors rely on Melee. Dungeoneer fan Christopher Stone-Bush (Hyvemind) made 6 new heroes for Dungeoneer based on a popular Anime title. The Dungeoneer RPG has six core classes, we've already looked at the Warrior. This week we take a look at the multi-talented, lyrical, Bard. In Dungeoneer the Bard fulfills the roll of team support member. Not as powerful in combat or magic as other classes, the Bard works best in a team where she can encourage the other members to greatness. You are a wandering minstrel and keeper of lore. Your music can inspire allies and destroy the morale of enemies. Your singing voice is attuned so that it can influence the fields of magic that permeate the world. This gives you some spell casting ability. Bards are multi-talented performers, adventurers, and dabblers in magic. They study the oral histories of cultures, through song and tales. 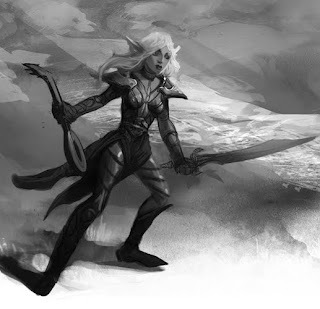 They have a broad range of skills ranging the spectrum from common thievery to the hidden knowledge of arcane lore. 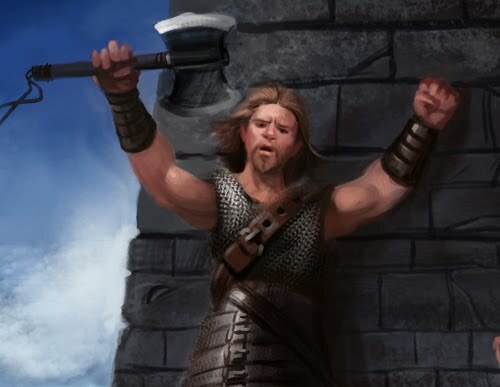 You may not be as powerful in battle as others, but your many abilities make you handy in many situations. Lyric: a chosen ally gets +1 to all attacks this turn. Battle Hymn: all allies get either +1 Melee or +1 Magic this turn. Symphony: at the end of each combat round, all allies recover 1 Life. A symphony lasts the duration of the encounter. Academy: you establish a music school that attracts followers to your style of music, these followers are extremely loyal to you.